You’re hosting a dinner party. You’ve wined and dined your guests–important clients of yours–through the appetizer course, and things are going without a hitch. You head down to your wine cellar to grab the bottle of very special Cabernet you’ve been saving for an occasion just like this one. But the bottle isn’t there. You scan your shelves, growing increasingly panicked. Will the dinner party be ruined? If you’re a serious wine collector, your collection represents a substantial financial investment. So why skimp on the care and organization of your collection? 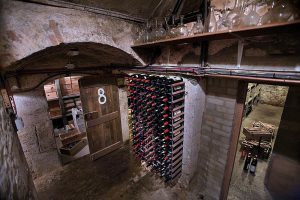 Modern wine-cellar management systems offer collectors a way to keep effortless track of every wine bottle in their collections. A high-tech management system will ensure that you don’t even lose track of a bottle. 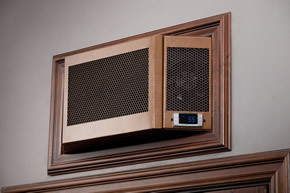 Even more importantly, they keep you constantly in tune with the conditions of your cellar, alerting you instantly if the temperature or humidity isn’t what it’s supposed to be, and protecting your investment. One popular wine cellar management system is the Sensaphone wine cellar monitoring system. The Sensaphone acts like a personal security guard for your wine collection. It monitors all the conditions in and around your wine cellar: it connects to your smoke alarm to sense potential fires, as well as monitoring the precise conditions within your wine cellar, including the exact temperature and humidity, and even checking the floor for water to sense floods. The moment the Sensaphone detects a problem, it calls your personal telephone and leaves a custom voice message. In the event the Sensaphone doesn’t reach you, it places phone calls with multiple designated people until it reaches someone who can fix the problem. Sensaphone is especially great for people who travel often. With just the touch of a button, you can dial into your Sensaphone remotely to check on your collection. Another great monitoring option is the eSommelier wine cellar management system. Think of eSommelier like a personal valet for your collation. Its interface is a touchscreen that you keep in your wine cellar. eSommelier comes with a bar code scanner and printer, allowing you to scan in bottles when you purchase them, and scan them out when you’re ready to drink them. In between times, you can use the touchscreen to effortlessly scroll through all the bottles in your collection, letting you instantly know what you have without having to hunt through your cellar. eSommelier can be added to with upgrades such as a temperature and humidity sensor, and software that allows you to handle multiple wine collections. With its intuitive touchscreen system, eSommelier is the most elegant option out there for keeping track of your inventory. You’d never leave the selection of wine to be served at your dinner party up to chance. So why would you leave the organization and safety of your collection up to fate? Wine cellar management systems let you always stay in sync with your collection, making sure that perfect bottle is always there when you need it. 1. Turn your old wine bottles into backyard tiki torches with a modern flare. From Design Sponge. 2. 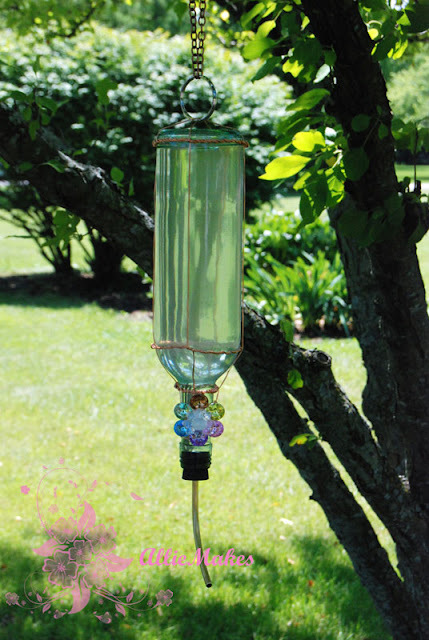 Use a wine bottle to create a feeder that will draw hummingbirds to your backyard. From Allie Makes. 3. Turn wine bottles into a gorgeous chandelier for a trendy rustic look. From Oregon Live. 4. 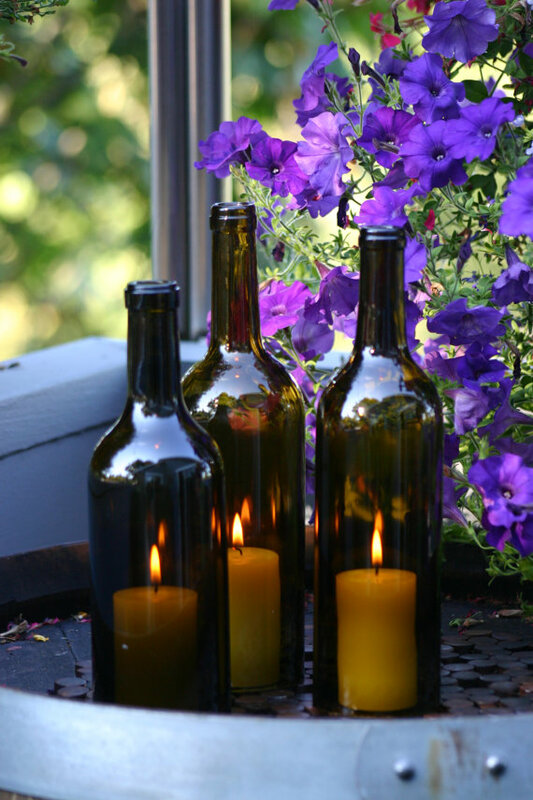 Cut the bottoms of of your wine bottles to turn them into romantic candle holders. From Emmaline Bride. 5. Pour paint into cleaned wine bottles to give them the look of expensive enameled pieces. From CBC. 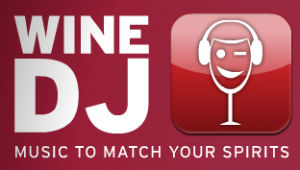 Wine DJ: a Fun app Combining Music & Wine! Have a good bottle of wine? Need the perfect music to set the proper mood? Have no fear; Wine DJ is here! Wine DJ is an iPhone app designed to help you build the perfect playlist based on your desired mood, coupled with the Liberty School wine you’re drinking. Simply enter the type of wine you’re planning to drink, use a variety of fun controls to customize and fine-tune the desired mood, and discover the perfect playlist for the occasion! Though the wines featured are those by Liberty School, the app is still fun to use if you substitute other wines. For example, if you’re opening a nice Cab, no matter the winery, simply select the “Liberty School Cabernet Sauvignon” from the wine list. Though other programs with “intelligent” playlist-generating features do exist, Wine DJ’s mood sliders allow you to add a more refined level of selection to generated playlists based on personal choices, in addition to your chosen wine. (The algorithm, created by Grooveshark, has produced some compelling playlists, indeed!) And if a song appears that you don’t own (but want to), all you need to do is click the “Download on iTunes” button. Simple! Playlists can be saved, too, so you can relive the memories of any night, anytime. For a free app, Wine DJ is certainly entertaining. Wine DJ is available from the iTunes store. It is compatible with all iPhone models, plus iPod Touch. Instead of giving traditional (and often non-useful) gifts to your folks this Mother’s or Father’s Day, considering celebrating with the gift of a good bottle of wine that will really make them smile! Sure ties, socks, and ceramic hippo nicknacks are the norm when you’re not really sure what your parents want or need, but a bottle of wine–a classy touch of elegance–shows just how much you appreciate them, much more than any generic gift ever can. Curious about what to bring to the family’s Father’s Day cookout? Select Father’s Day Barbecue from the list! What are some sure-fire suggestions? Mmmmm… In addition to helping you select fantastic wines for your family’s fun holidays, the app allows you to access a host of tasting notes, scores, prices, and recipes. You can search over 150,000 wines at retailers across the U.S., and create a wine journal containing your own notes and photos. 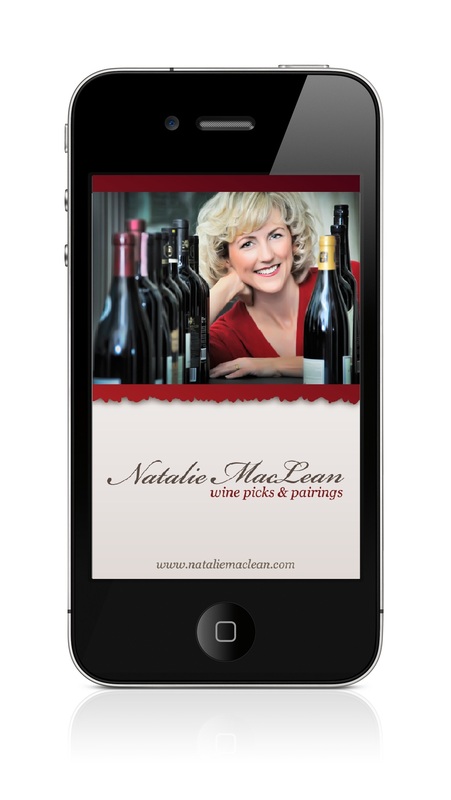 Wine Picks & Pairings: Natalie MacLean is available for iPhone, iPod Touch, Android, and BlackBerry, and allows users with other mobile phones access to a mobile site. The latest version was updated on Feb. 04, 2012. American studies have shown that drinking wine helps to prevent type-2 diabetes, and a recent study conducted in Europe concurs. The results, soon to be published in the Journal of International Medicine, were derived by examining numerous variables among thousands of participants. These included detailed lifestyle and eating habits of individuals living in Italy, Spain, the UK, and other European countries. Examining the data from this massive selection of people, what was the verdict on alcohol? According to this study, scientists discovered that moderate alcohol use is connected with a 13% lower risk of developing type-2 diabetes in men, and a whopping 20% lower risk in women. (Ladies, raise your glasses!) Women who drank primarily fortified wine (as opposed to other types of alcoholic beverages) fared even better; their risk factor of developing diabetes was 32% less than the norm. Another very interesting finding had to do with weight. Moderate alcohol intake reduced the risk of diabetes in overweight participants much more than participants who were of average build. Scientists could not explain why this was so, but have theorized that heavier folks may metabolize alcohol quicker. In short, the study reports that moderate alcohol consumption lessens one’s chances of developing type-2 diabetes. Wine drinkers, especially, had the highest percentage of protection. This is welcomed news for the world of wine! *This blog does not constitute medical advice. Consult your primary care physician before making changes to your diet or lifestyle. Women should not drink alcoholic beverages during pregnancy because of the risk of birth defects. 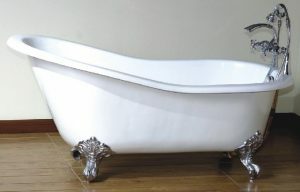 Take a Bath, A Wine Bath! There’s been a lot of discussion about the benefits of wine consumption, lately, but a new trend has appeared that takes wine enrichment to the next level: bathing in it! That’s right, it’s called “vinotherapy,” and it purportedly reduces wrinkles, repositions unsightly cellulite, and even helps lift the face. Begun in the world’s first “wine spa” in France (appropriately), the full-body wine treatment also includes being wrapped and massaged in delightfully-aromatic wine extracts. The “secret” to the procedure is grape seed oil, which is believed to increase blood circulation when applied topically. Participants often begin their vinotherapy regimens by bathing in a jacuzzi of warm, red wine, since the force of the jets offers cardiovascular benefits. To minimize cellulite, a wine and honey wrap is then applied, or a Merlot wrap designed to refresh the skin and help eliminate toxins. Some people even follow this treatment with an all-grape diet for 3 days following the procedure (Though I doubt your doctor will approve)! If your face could use a tune-up, a “vinolift” may also be in order. This natural facelift procedure utilizes resveratrol (found in grape skins), as well as gentle electrical pulsation. Even though antioxidants found in grapes have been shown to slow the aging process, skeptics remain unconvinced that the amount of them absorbed through the skin during vinotherapy provides much benefit. Still, if you’re a wine lover looking for an unforgettable spa experience, vinotherapy may be a nice preview of heaven. Cheers! Have a wine cellar, but not enough room to install a proper cellar cooling unit? That’s what some people believe. Avoid a big wine storage mistake in your small cellar by investing in the WhisperKOOL Slimline cooling system; it’s designed to fit in that frequently-unused space above your cellar door! Like other WhisperKOOL series units, the Slimline system uses the same control system, including several monitoring probes and a convenient, digital display. Weighing just 50 lbs., the unit measures 22’W x 10.25”H x 19”D and has a 30°F temperature differential. (Not too shabby for a unit designed to go above a cellar door!) Utilizing WhisperKOOL’s Advanced System Protection Technology, your cooling unit is designed to have a long life. In fact, the compressor even comes with a 5-year warranty. So, if you’re stuck wondering where in your cellar you can fit a quality wine cooling unit, fret no more; the WhisperKOOL Slimline is here to save the day! Let’s face it, people make mistakes. And when it comes to wine storage, a lot of people make innocent mistakes that end up costing them a few (or more!) good bottles of wine. Here’s how to avoid some common wine storage blunders. 1. Storing wine upright. If you store wine with your bottles standing up, the wine does not keep the corks wet, meaning they can dry out, allow excess air inside, and then make the wines taste like vinegar. It’s easy to buy a case of wine, put it off the the side in the basement (upright) to store later, and forget about it until it’s too late. Don’t let this happen to you! Store your wine on its side. 2. Not controlling temperature. Gradual changes between the seasons won’t harm wine, but rapid temperature fluctuations–like big, same-day changes–will age wine prematurely. If your cellar temperatures are all over the map, invest in a WhisperKOOL Extreme 8000ti (a large cellar unit) or another quality wine cooling unit, so your cellar’s temperature stays constant. Read up on proper temperatures for your collection, too. 3. Not controlling humidity. Corks will shrink if cellars fall below 50% humidity, letting excess air into your bottles (even if they’re properly stored on their sides). In fact, a humidity level of 70% or 80% is quite good for your wine! If your cellar is too dry, invest in a humidifier to preserve your precious vino. 4. Sunlight in the cellar. UV exposure degrades a wine’s organic compounds, making it age too rapidly. 5. Vibration or frequent moves. Keep your wine away from vibrating machinery, and even trucks going by when possible. Low vibrations can “shake” wine bottles, thus disturbing their sediment and speeding up the aging process. If using house-shaking, vibrating power tools, its best to use them away from where you store your wine. And don’t move your bottles more than necessary. By avoiding these errors, you’ll better preserve your wine collection and insure it ages appropriately. Cheers! Technology has certainly been keeping the wine world on its toes! With the latest wine app releases, to devices with unparalleled scanning, pairing, and locating capabilities, what new wine gadgets will they think of, next? Here is one that we find quite a catch! 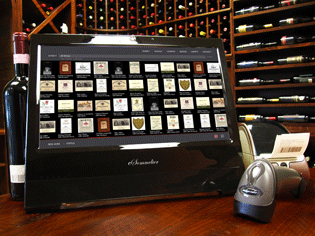 It’s called the eSommelier, and it’s a complete wine collection management system. Perfect for people with large collections, the eSommelier is an elegant, touch-screen based wine inventory system designed to keep track of the wines you have in your cellar, restaurant, or commercial business. Featuring a top-of-the-line bar code scanning system and printer, you can easily identify and track every bottle of wine you own. Gigantic catalogues of wine info and reviews are included, too, and are accessible just by touching the screen. 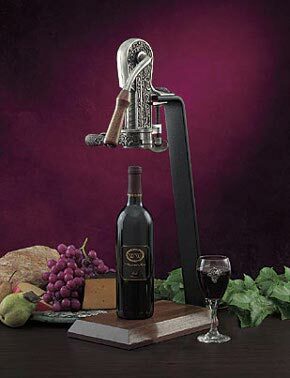 Measuring 13” x 15” X 6”, the eSommelier can fit just about anywhere. The hardware (touch screen, printer, scanner, flash drive backup) and software are all included, so eSommelier is ready to run right out of the box. Plus, you’ll have access to a year’s worth of online updates. With eSommelier, you can easily view your wine inventory, and be kept informed about when you should start drinking some of your older bottles! You’ll be able to see wines that have reached their ideal drinking age, be able to view professional tasting notes for each wine, view your cellar’s temperature from anywhere in the world, keep a record of your cellar’s temperature and humidity history, allow guests to view your wine collection, digitally, and much, much more. For a stylish, easy-to-use, standalone piece of professional equipment, eSommelier is one of the best wine organizational tools we’ve seen recently. It’ll definitely enhance your collecting experience. To Cork, Bag, or Seal Another Way? In 2011, over 60% of the most popular domestic wine brands were sealed with natural cork. This statistic comes from the Cork Quality Council, a Napa-based organization. Based on surveys of A.C. Nielsen data, the executive director of the Quality Cork Council, Peter Weber, claims that there has been “a sharp increase in the sale of wine sealed with cork.” He further comments that there is “unwavering consumer preference for natural cork” and that there are “emerging problems with alternative closures.” Although the majority of popular wines in 2011 were sealed with cork, note that a great number of popular wines were also sealed by other means (under 40%)! And just because a wine is sealed with a cork does not make it “better” than a wine sealed with a screw cap. The same is true of boxed wine. That said, the top bottles will probably continue to be sealed with natural corks for years to come. Tradition and time-tested methods persist strongly in the wine world! While these “alternative closures” can pose difficulties (screw caps can trap excess gasses that naturally pass through and out of cork, synthetic corks can become difficult to remove after a few years, traces of plastic that makes contact with the wine can be ingested, etc. ), a lot of popular wine is packaged with them. The natural vs. synthetic cork debate will probably continue for many, many years. Why choose natural cork? Possibly because of tradition, to take home a cork as “souvenir” of a meal or special occasion, to remember a particular wine, to use in a craft project, etc. Cork is also a renewable resource, and, of course, biodegradeable. Why choose screw caps or boxes? For convenience; if you’re on the go, no corkscrew is needed, and bottles can easily be capped to prevent spillage. Boxed wine will “keep” on a trip, and it pours easily. What works best for long-term storage? Not boxed wine. (If your box has a “boxed on” date, you should drink it within a year of that date.) Screw caps or corks? The verdict is still out, and even the experts cannot agree. This usually means you’re pretty safe either way. To solve the “hard to open” issue, if you’re opening a corked wine, no matter what the “cork” is made of, try using a Rogar Champion pewter-plated wine opener. This elegant, timeless piece makes opening any wine a breeze. You can uncork (and even recork) a wine bottle in under a second. No matter the material of your cork, a good opener like this is nice to have on hand. Corks of some material will likely be a part of the future of most wine for many, many years. What are your thoughts? Do you buy “alternatively sealed” wines? Would you ever consider them for aging, or are they strictly “table wine”?